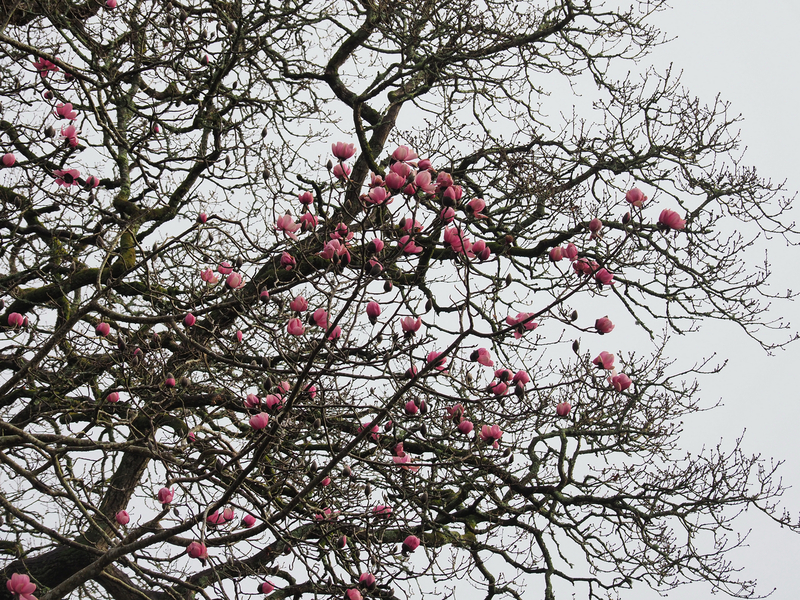 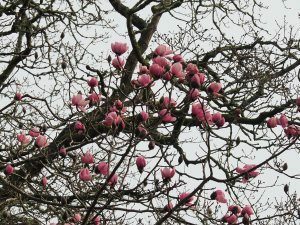 A search for magnolias out or showing colour. Eight photographed here before I ran out of time. There are loads more nearly there. 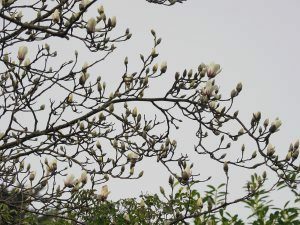 As early as it has ever been looking in the garden diary for today which shows 1962 and 1988 as being fairly early years for a little colour. 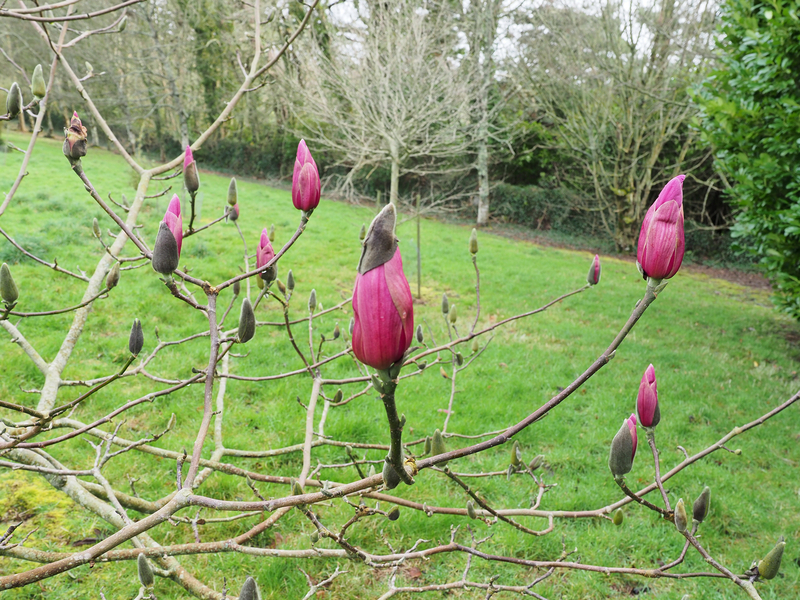 The first excellent and darker Magnolia ‘Lanarth’ seedling in Old Park is just out. 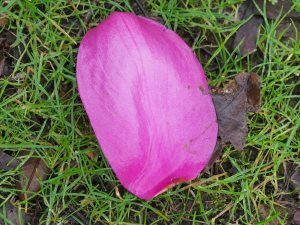 Look at the colour in a fallen petal! 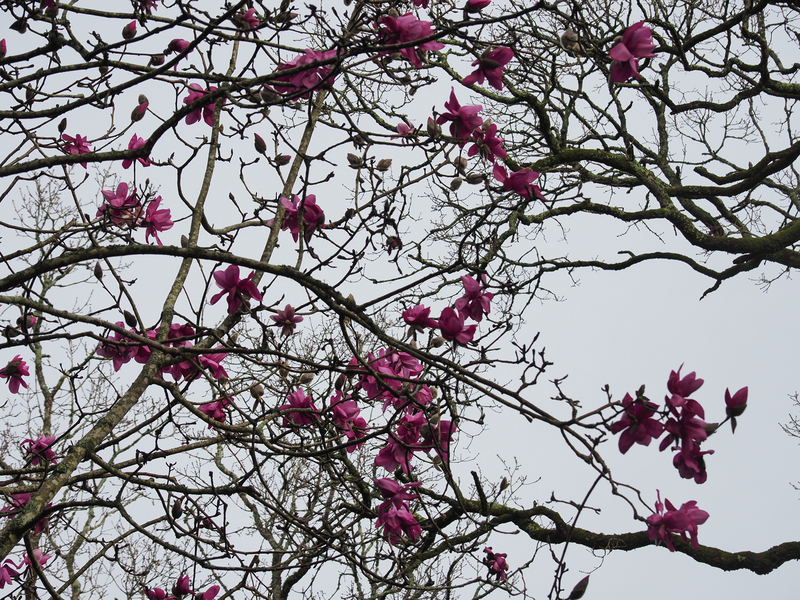 This Old Park Magnolia campbellii (one of two) had been in too dark a place to flower properly. 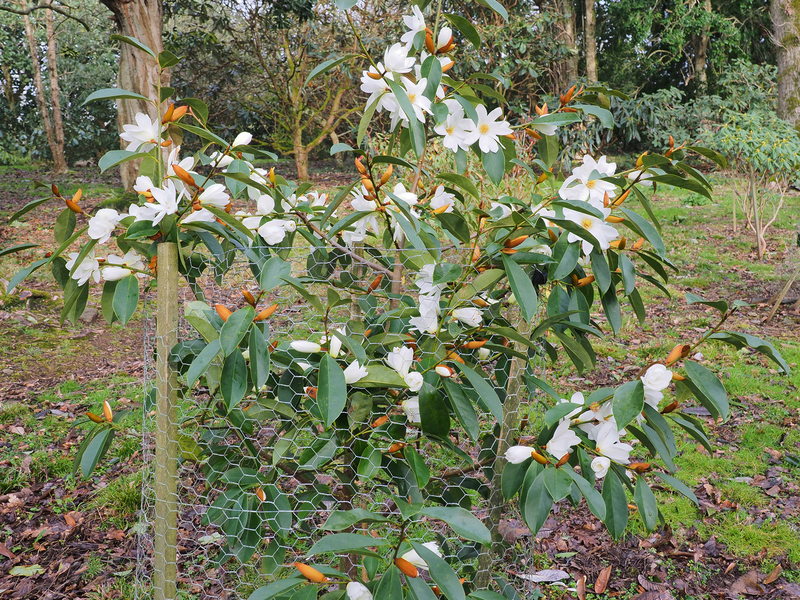 After recent clearance it is starting to perform. 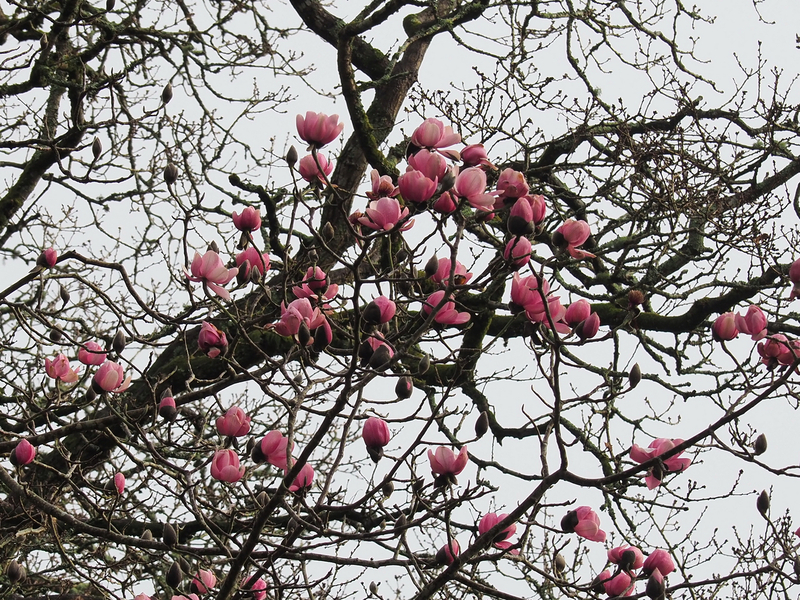 I confess that I have never been here early enough to see it like this (if it was) before. 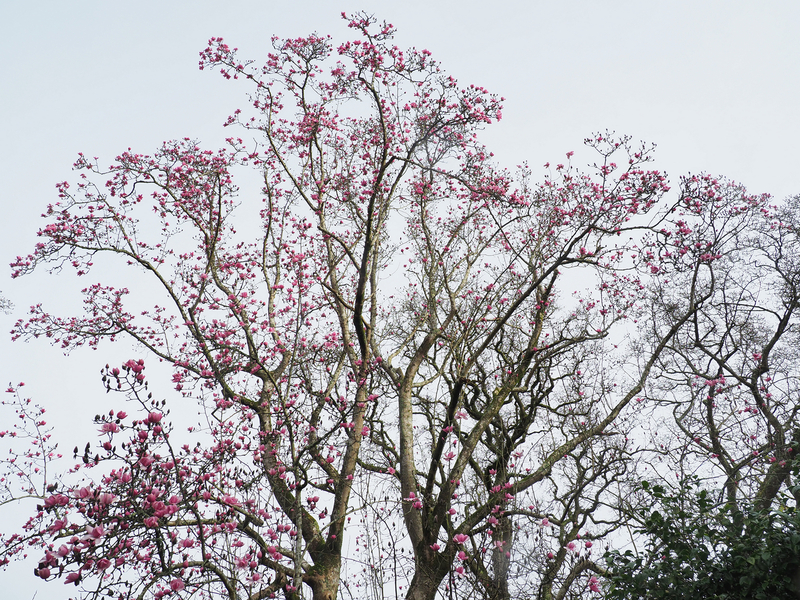 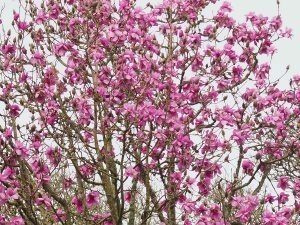 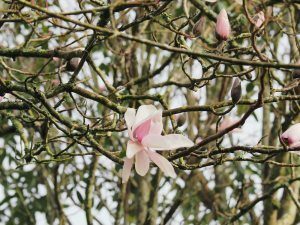 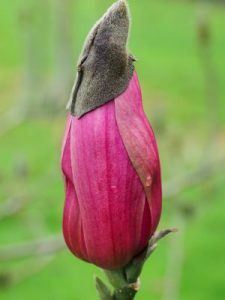 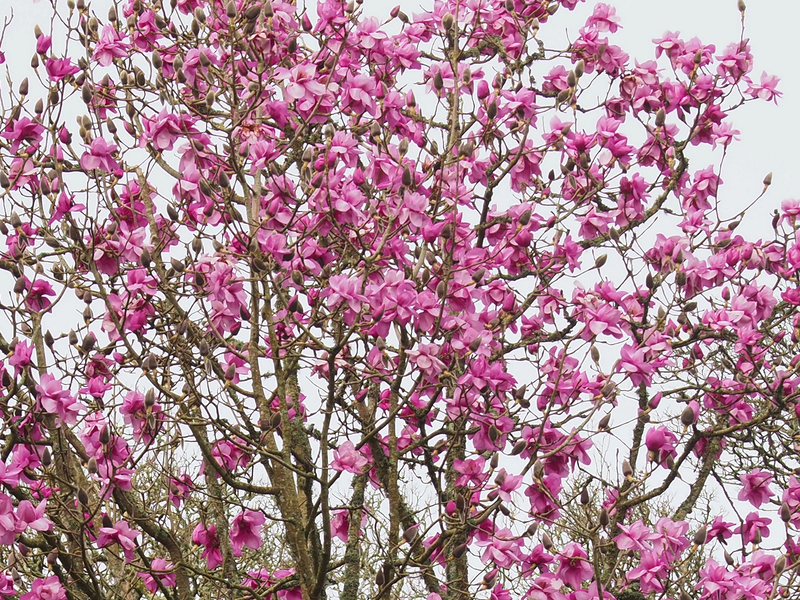 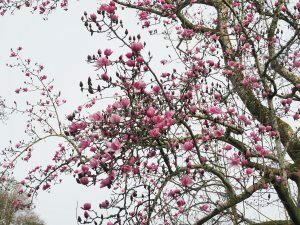 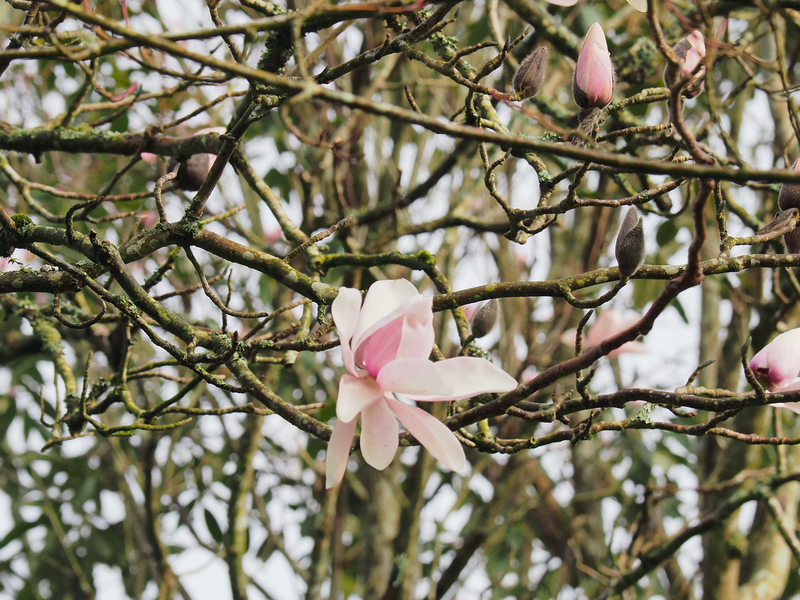 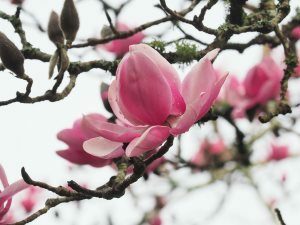 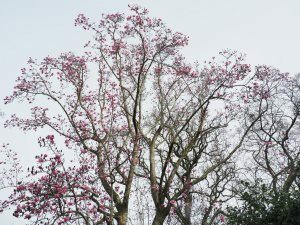 The original 1913 Magnolia campbellii is now full out, indeed, and ‘Spring has Sprung’ as far as the Great Gardens of Cornwall and Caerhays are concerned. 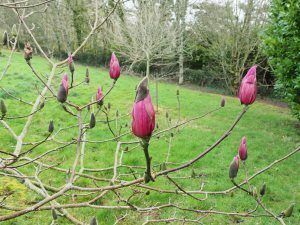 About a fortnight earlier than last year when ‘The Beast’ was nearly upon us. Michelia (properly Magnolia) ‘Fairy White’ is now absolutely full out and a picture. 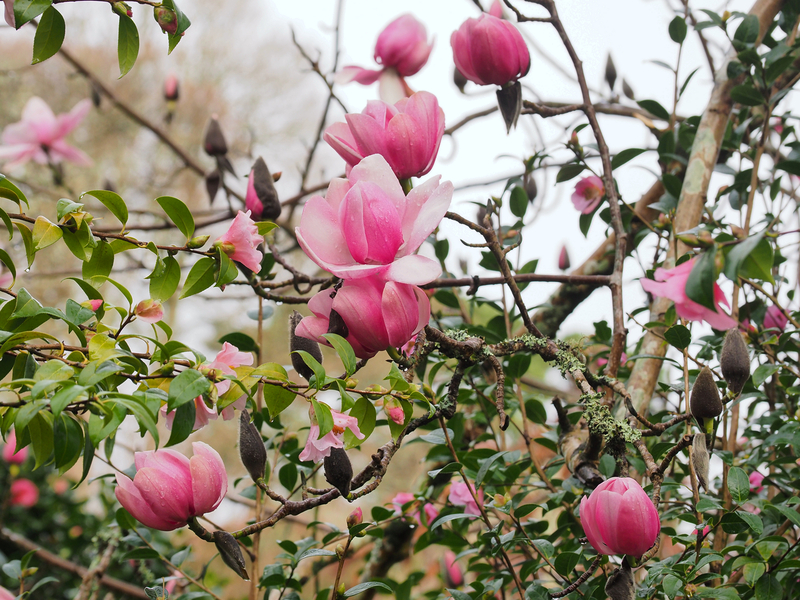 Another elderly and very pale Magnolia campbellii is now full out by Tin Garden. 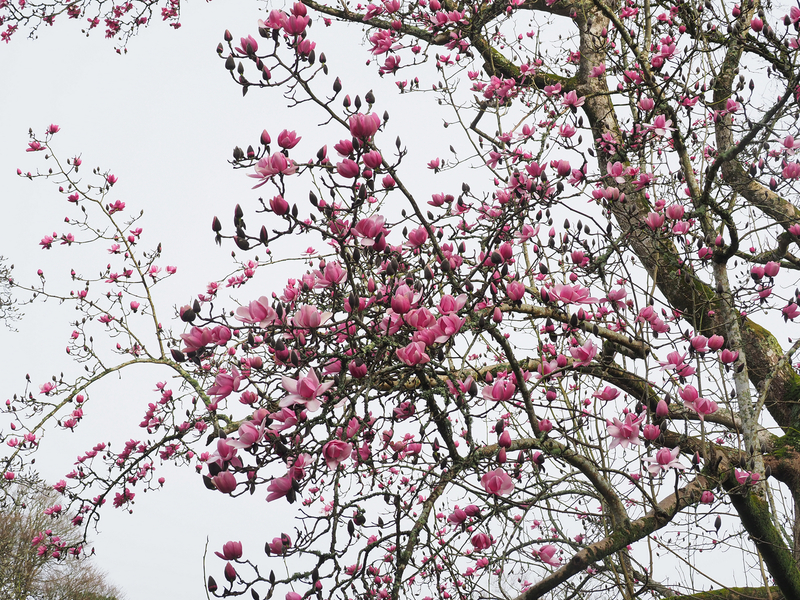 So is the equally elderly Magnolia sprengeri ‘Elongata’ which is particularly early. 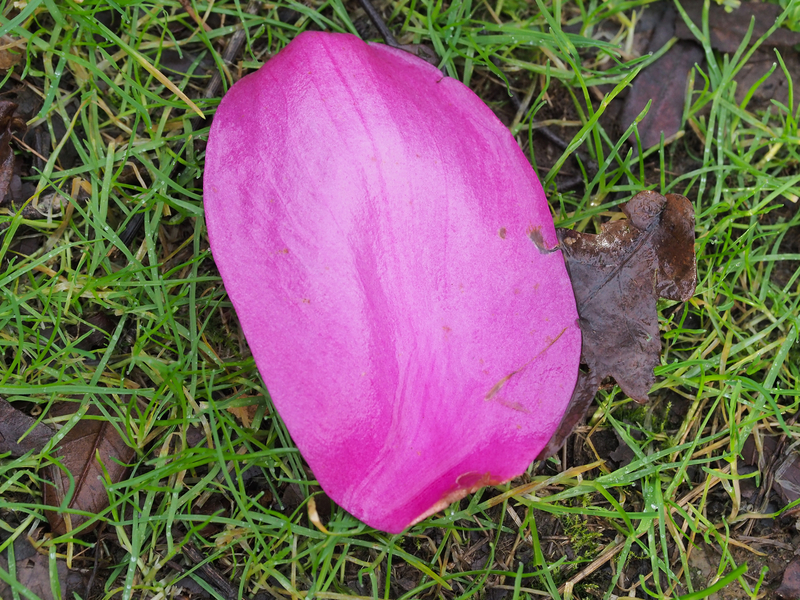 Note the markings on a fallen petal. First colour on Magnolia ‘Red Lion’ – a sister seedling to ‘Star Wars’ and a better colour I suspect. 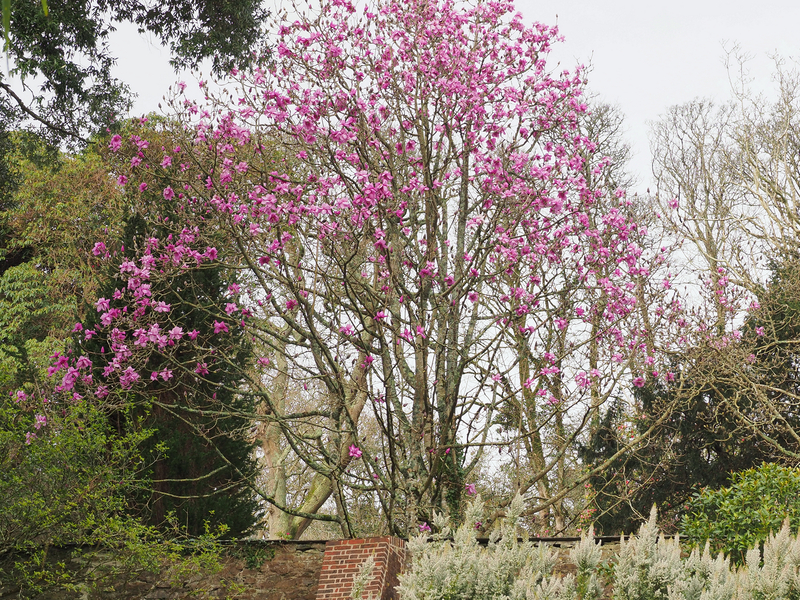 The magnolia above the Top Wall, a Magnolia ‘FJW’ seedling, is now full out and quite a sight from the front door. 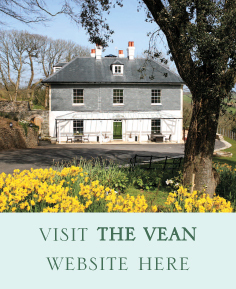 I remember Mr Tregunna included me in a brief tour when I was in the county back in 1981 or so. 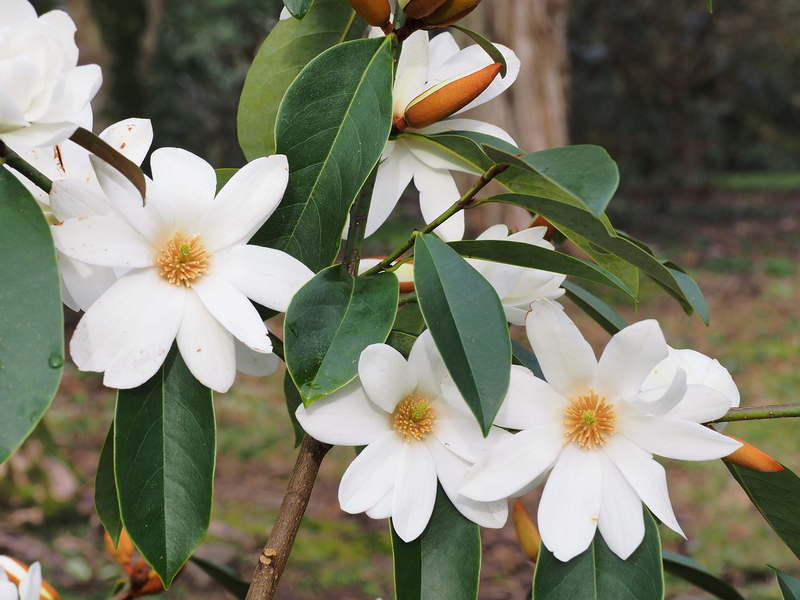 He showed us a Magnolia delaveyi which your great grandfather would stare at for some time to set his eyes to the colour green before judging the colour of his hybrid flowers. 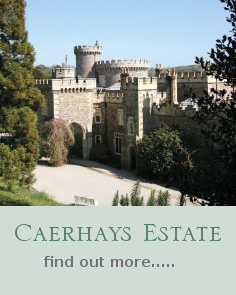 A memorable day, two great men of Cornish gardens. 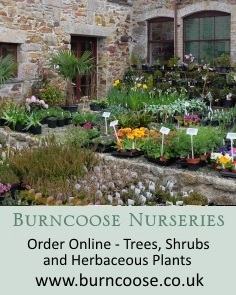 Philip Tregunna was the head gardener here for 40 plus years. 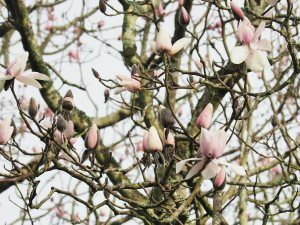 He died about eight years ago. I well remember Mr & Mrs Gore. 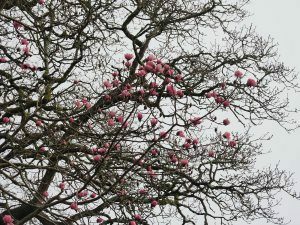 What characters!